Nice day for it; hope they earned some 'beer money'. I like their smiles ! Is there because they're lost in their music , or because they see you picturing?.. I can tell they enjoy playing the music. I hope life is getting back to some normality now. I'm sure they mad enough money for a few beers each. Where did you find your photos from the 1970s? 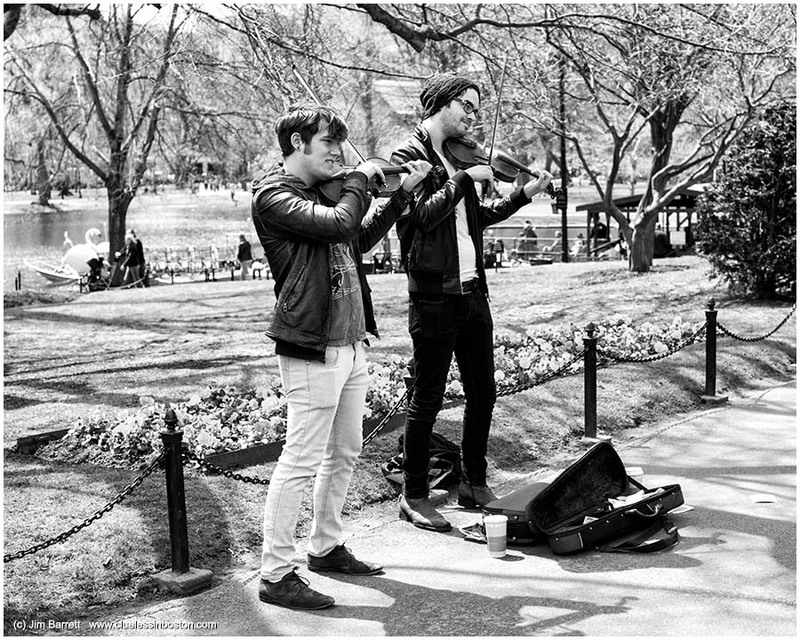 What a nice portrait!For me these street musicians are always so talented!